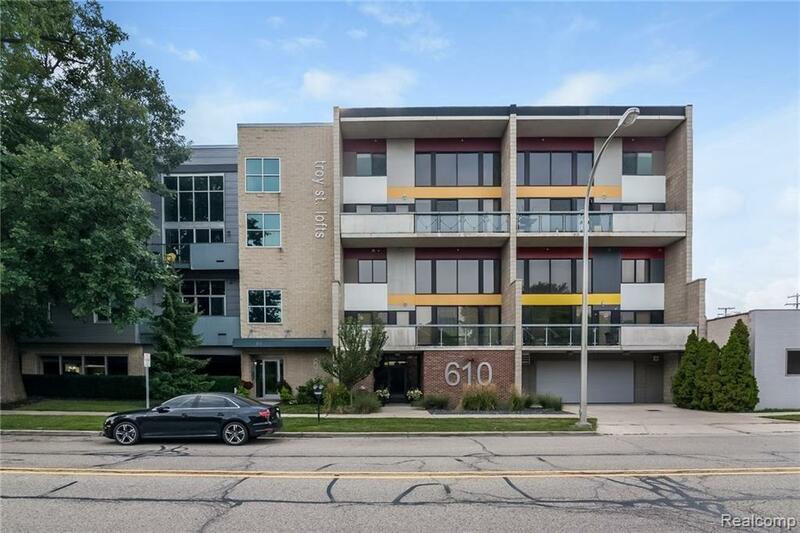 A rare gem blocks from the heart of Downtown Royal Oak! 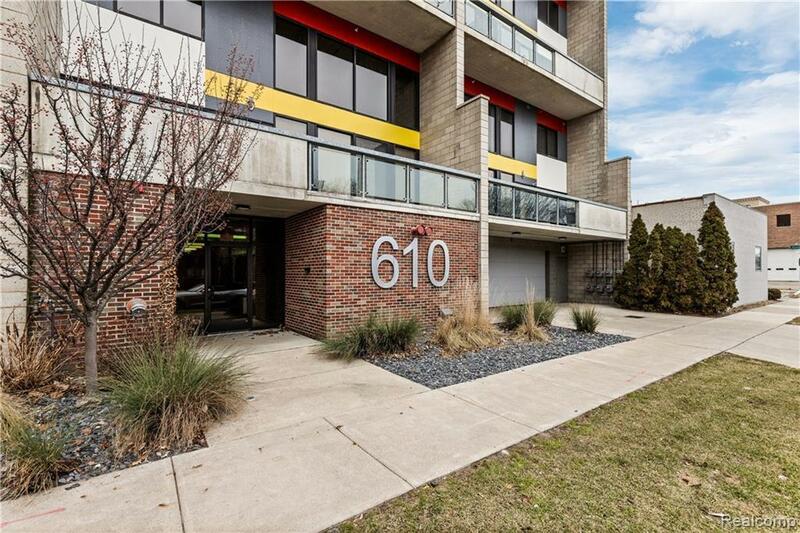 This 2 bed/ 2.5 bath Royal Oak Loft is a contemporary marvel in a sweeping open concept layout crowned with 18' ceilings. Floor-to-ceiling windows, exposed ductwork and chic pendant lighting brings a balanced blend of industrial and modern styling. The kitchen is a treat for novice and pro alike with premium stainless steel appliances, under-mount cabinet lighting, bar top island and stainless apron front sink. Entertaining is a breeze with an oversized balcony that creates the perfect retreat for alfresco dining or relaxation. The master with walk-in closet and private ensuite bath likewise flows out to this oasis via sliding glass doors. 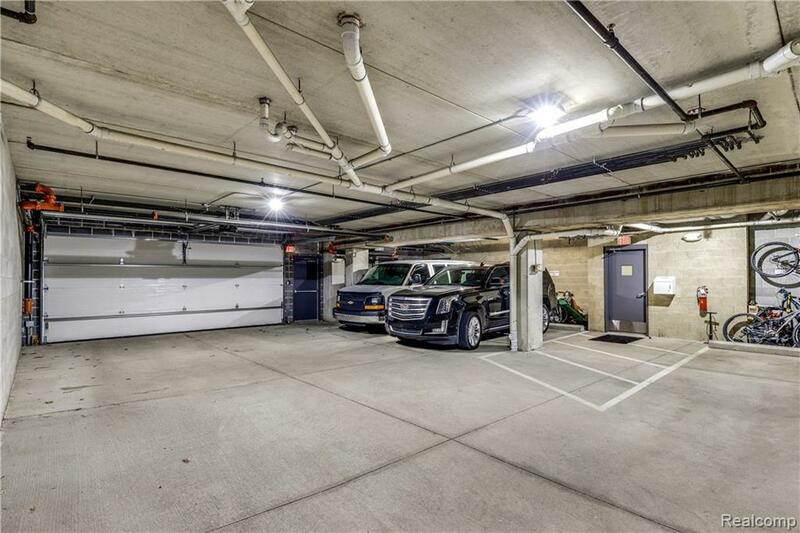 An absolute must-see, this stunning condo assures the utmost convenience with 2 assigned parking spots within an enclosed garage as well as an included dishwasher, disposal, dryer, microwave, refrigerator, stove and washing machine. Make your appointment today and prepare to fall in love!